Get clients on the next one. 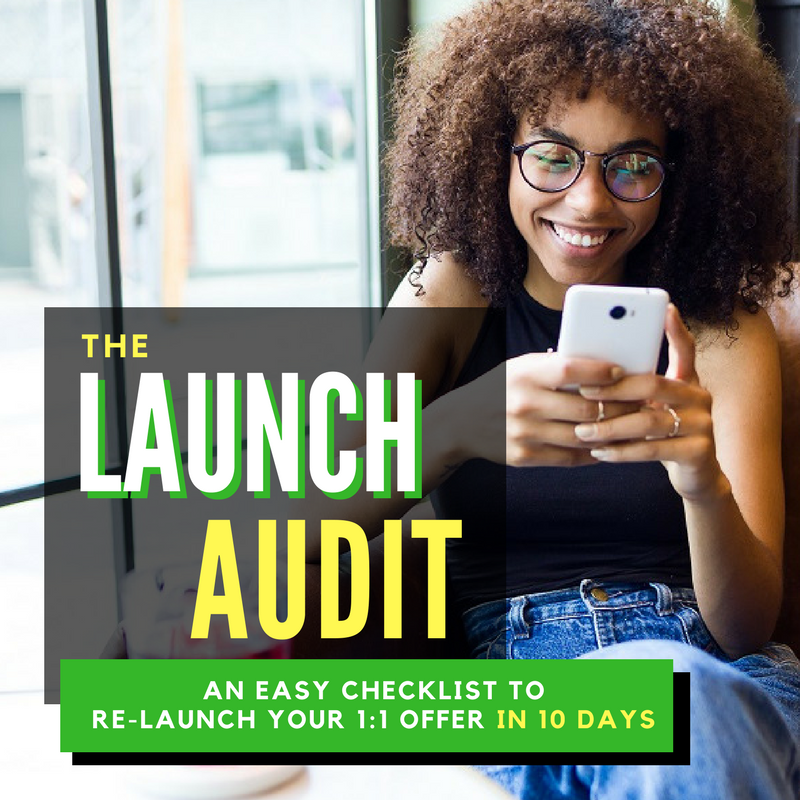 An Easy Checklist to Re-Launch Your 1:1 Offer in Just 10 Days! Sign up for my emai​​​​l newsletter, "The Weekly Uplift" and I'll send it over! Proof that you DON'T have to scrap the whole thing and start from scratch. And no, you don't have to use ALL of them. But it's nice to have choices, right? You launched your offer so you could make a difference in someone's life. Put yourself out there again. READY FOR YOUR LAUNCH AUDIT? Sign up for my email newsletter, "The Weekly Uplift," and I'll send you for FREE!